As stated on their official website, “Experience the unique wonders of New Zealand’s southern night sky at Stardome Observatory & Planetarium”. 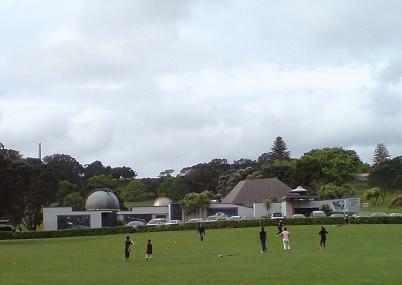 Founded in 1967, the Stardome Observatory is a public astronomical observatory situated in Cornwall Park near One Tree Hill. The specialised astronomy presenters will reveal the features of the Southern Hemisphere sky as these constellations are projected onto the domed ceiling of the planetarium. Learn about their history and significance to New Zealanders. 651 Manukau road bus stop. How popular is Stardome Observatory? People normally club together Museum Of Transport And Technology and Mount Eden while planning their visit to Stardome Observatory. An absolute mind blowing experience! Us humans think we are all important here on our earth, but when you see the scale of the universe it really does put things into perspective of how microscopic we are. Go to a show and you'll know exactly what I'm taking about. Great experience. The stardome screen is above you and the chairs are slightly tilted back to allow for maximum immersion into the screening. The guide was very insightful and the audio and visual systems being used were of great quality. Highly recommend. I went to children's day with my baby girl, great place, an excellent experience, quite fascinating place, really enjoyed all. Not enough parking space for everyone, was told I had to park across the field which isn't a massive walking distance but had to make two left turns to get there. In the light show, you can get a sore neck if you don't grab a seat near the back. A cool little novelty shop inside and the exhibitions on display are pretty cool and interactive. Definitely something you should check out in Auckland, they have different shows for different times of the year.